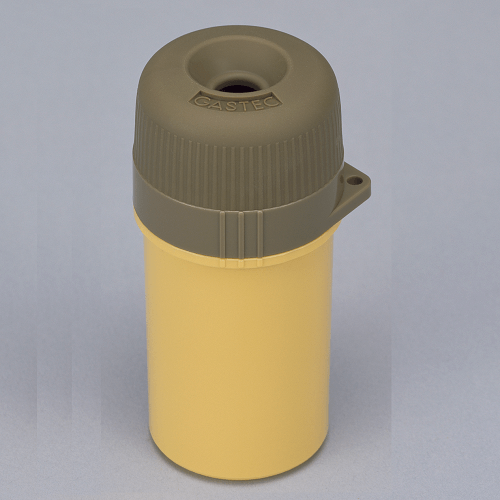 Gastec Colour Dosimeter Tubes (Dosi-tubes) provide reliable, on-the-spot Time-Weighted Average (TWA) monitoring of worker exposure to gases and vapours. The system is simple-to-use and easy-to-read, with no need for a pump, chart, or laboratory analysis. 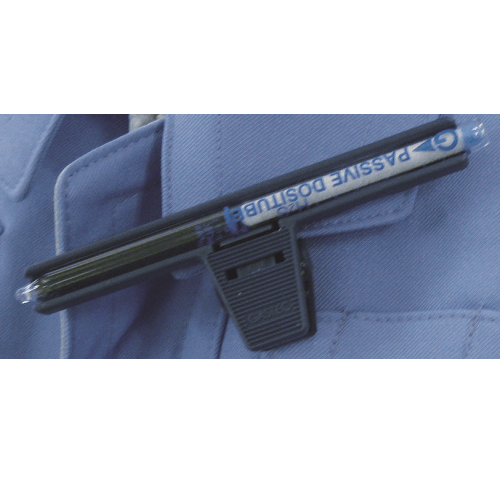 The Dosi-tube system allows an operator to evaluate the level of exposure over a long time period such as a working shift. The system consists of Gastec Dosi-tubes and a tube holder (part number 810-710). The pre-scored ends of the tube are simply snapped off and the tube inserted into a tube holder. Air diffuses passively through the tube and reacts with the detecting reagent within, giving a colour change result that is indicated on the printed scale. The tube holder can either be attached in a worker’s breathing zone or installed in work areas to act as an area monitor. Using a simple equation, the Dosi-tube system produces an average concentration of exposure over a set period of time – commonly known as a Time Weighted Average (TWA). To calculate the ppm level simply read the printed calibrated scale on the tube for exposure measurement in parts-per-million-hours (ppm-hours), and divide the reading by the number of hours sampled. Note: When measuring carbon dioxide, mount the tube holder on the worker’s waist rather than in their breathing zone. This will avoid overstating CO2 levels due to exhalation.